College of Law Dean Craig M. Boise wants to ensure that each student’s experience at the college is a positive one and he’s already begun to implement that initiative. Since beginning his tenure this summer, Boise has appointed a new assistant dean of students to help make sure the college is responsive to each student’s needs. He’s also dedicated to being visible and interacting with students whenever possible, which recently included working with students on a service project. Along with engaging students, Boise is focused on a sound budget for the College of Law during a challenging time for law schools as applications have declined nationwide. He has also prioritized aligning the college’s curriculum, centers and programming to strengthen the things it does best and maximize the resources available from all of its constituencies to support students. Boise came to Syracuse University from Cleveland-Marshall College of Law at Cleveland State University, which under his deanship made significant gains in academic programs, national rankings and fundraising. 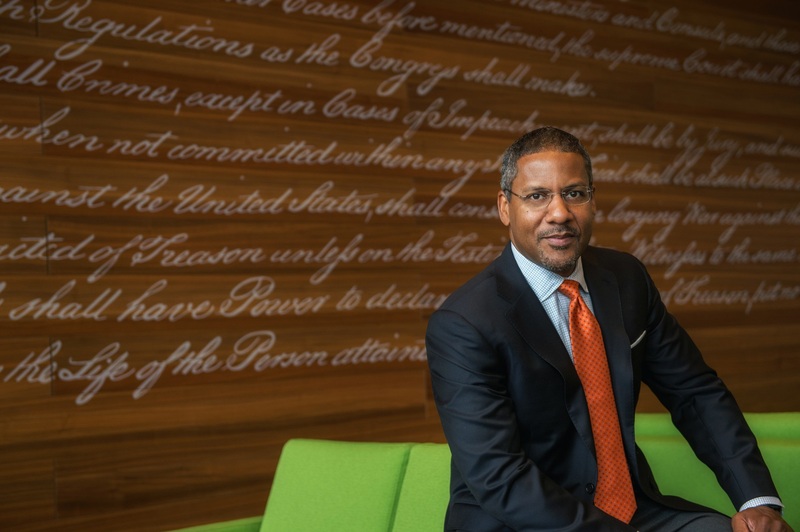 Under his leadership, the college launched the Center for Cybersecurity and Privacy Protection, an interdisciplinary center aimed at achieving cyber resilience through education, research and policy prescriptions. He also spearheaded and enhanced a curriculum designed to give practical work experience to all law students; established a solo practice incubator, the first such project in Ohio and one of the first in the nation; and developed a master of legal studies degree. During his time at Cleveland-Marshall, annual fund participation among alumni increased, annual fund giving nearly doubled and more than $1 million in new scholarship support for students was generated. Boise also led the institution through a 29-point rise in U.S. News & World Report rankings, moving from 135 in his first year to an all-time school high of 106 this year. Boise, who practiced law for more than eight years before his legal academic career, has focused his scholarship on U.S. corporate and international tax policy, offshore financial centers, and offshore financial intermediation. He has taught International Tax, Corporate Tax, International Tax Policy and Federal Income Taxation. He is currently admitted to practice in Ohio and New York. A: The first priority is continuing to stabilize the law school fiscally in the wake of the decline in applications that has affected law schools nationwide. We’re well on the way with a sound budget plan and with an entering class this fall that has bucked the national trend by being larger as well stronger in terms of the student LSAT scores and GPAs. A second major priority is aligning our curriculum, our centers and institutes, and our programming to be more focused on the things that we do best and that can best be supported by the resources we have available through alumni, the practicing bar, our faculty expertise and our extended support networks. A: In my first month as dean, I appointed a new assistant dean of students whose responsibility is to ensure that all of our students have an experience at the law school that is positive and that we are responsive as an institution to each student’s needs. An important part of this initiative is that, as dean, I will be visible to students and that I interact with them whenever possible. During orientation week this meant picking corn and green beans, and digging potatoes and onions with students as part of our community service project. A: Legal education is in a period of great stress with substantially fewer law school applicants nationally over the last few years as a result of a soft legal job market. This kind of environment tends to level the playing field and rewards those law schools that can most quickly pivot and adapt to changed circumstances. I’m excited to lead the law school at this time, particularly because we are part of an internationally recognized, top-tier research university that offers opportunities for interdisciplinary collaboration; we have a talented faculty and staff that are embracing innovation and new ideas; and we reside in a recently completed, state-of-the-art law school facility that is extremely attractive to prospective students. A: In beginning a new deanship, the learning curve is steep so I don’t have a lot of spare time. However, in addition to the time I spend with my wife and kids, I have a passion for sailing and we charter at least once a year in the Caribbean. I also enjoy scuba diving, riding Harley motorcycles, salsa dancing, playing classical piano and reading.